Thank you for downloading the fleetminder mobile phone app. 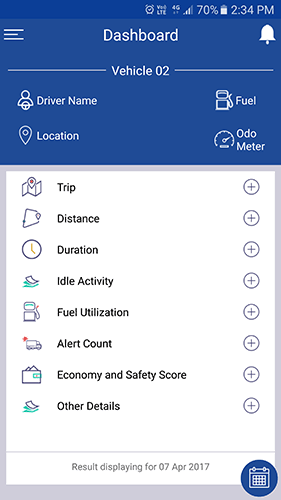 The fleetminder mobile app provides a convenient way to interact and use your fleetminder GPS tracking device. When opening the app for the first time on your mobile phone, you will be required to enter the mobile number of the SIM in the tracker. If you don’t know what that number is, then contact our fleetminder admin staff on 08 9383 7833. When entering the mobile number, enter the digits without spacing or hyphens. For example, an Australian mobile number that is 0400 888 999, will need to be entered as 0400888999. If you would like to communicate with the tracker whilst overseas, you will need to enter in the international country code first and remove the leading zero. For example, an Australian mobile number 0400 888 999, will need to be entered as 61400888999. The app outputs pre-written commands when you press any of the orange buttons. You will need to send the SMS from your phone’s messaging function in order for the tracker to receive the command. Once you have sent a SMS text command the installed fleetminder GPS tracking device will report back to your mobile phone. If you selected the “WHERE’S MY VEHICLE” command the tracker will then send it’s GPS location back to your mobile phone – usually within 60 seconds or less. 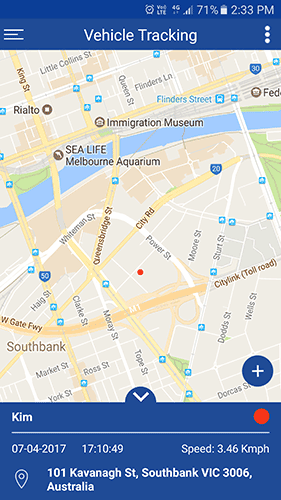 You can then view this GPS location on your mobile phone’s mapping service such as Google Maps.